One of the basic principles of owning gold and other precious metals is to diversify your assets internationally in order to secure your wealth and Keep What’s Yours. In a precarious economy, securing your precious metals can be vital for your financial security. But where do you store your precious metals to keep them secure? Storing a portion of your assets at home allows you to have instant, tangible access. However, you are still at risk of loss or theft. You may also be concerned about the privacy of your assets. One solution for all of these concerns is through a new offshore storage option, Strategic Wealth Preservation (SWP) in the Cayman Islands. SWP is a new purpose-built precious metals storage facility that is independently owned and privately operated. 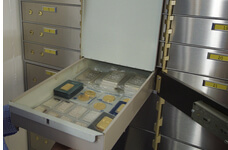 It is one of the premier precious metals storage facilities in the world. With the uncertainty of the presidential election outcome and gold being predicted to “push higher” by Todd Gordon of TradingAnalysis.com, investors are looking for alternatives to store their gold. There is no direct taxation of any kind, nor has there ever been, in Cayman’s history. No income tax, no sales tax, no capital gains and no inheritance tax has ever been implemented. Precious metals are not subject to tariffs upon entry or exit of the country, nor is the purchase or storage of precious metals in the Cayman Islands subject to value added tax (VAT). When you store your precious metals with SWP, you can do so with complete peace of mind. Your investment is always 100% insured. All of your holdings are also fully allocated and segregated in an offshore, investor-friendly jurisdiction. 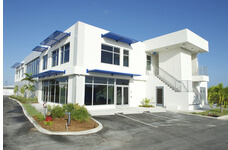 Your precious metals would also be housed within one of the largest and most respected security companies in the Caribbean at the impressive complex of Cayman Technology Centre (CTC). At SWP, storage rates are normally based on the value of your stored holdings. With our limited time offer, you can receive preferred storage rates for life at 0.5% for gold and 0.75% for silver– with no minimums and FREE metals deposit fee – if you open a metals account by November 18, 2016. With all the advantages and security SWP encompasses in the Cayman Islands, be sure to take advantage of this offer! Call us at 800-831-0007 or send us an email to take advantage of this limited time offer for your offshore storage needs in the Cayman Islands.